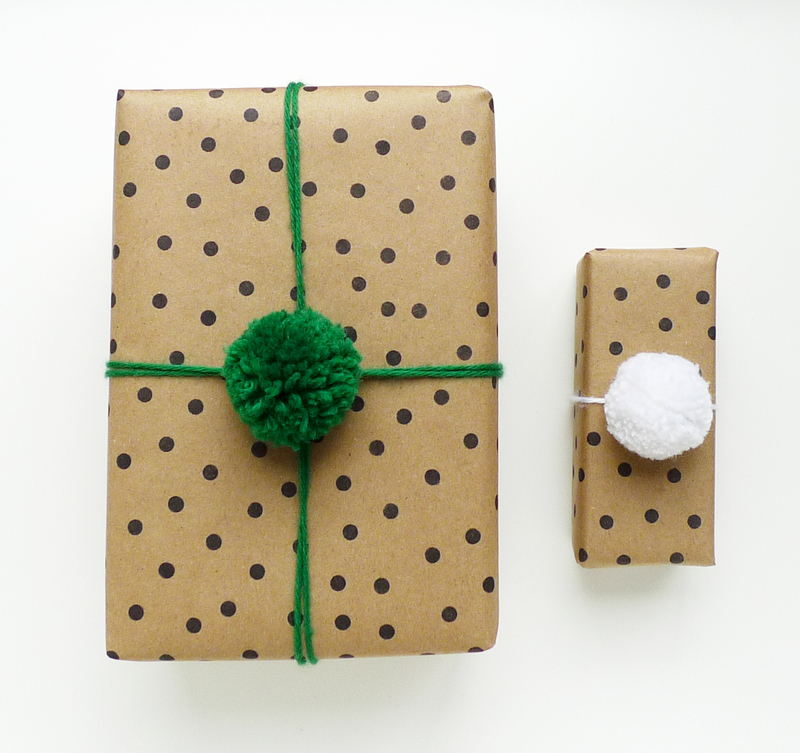 Did you happen to see this great pom-pom wrapping DIY project floating around Pinterest? Shauna and Stephen from Something’s Hiding in Here had a similar idea a while back too. 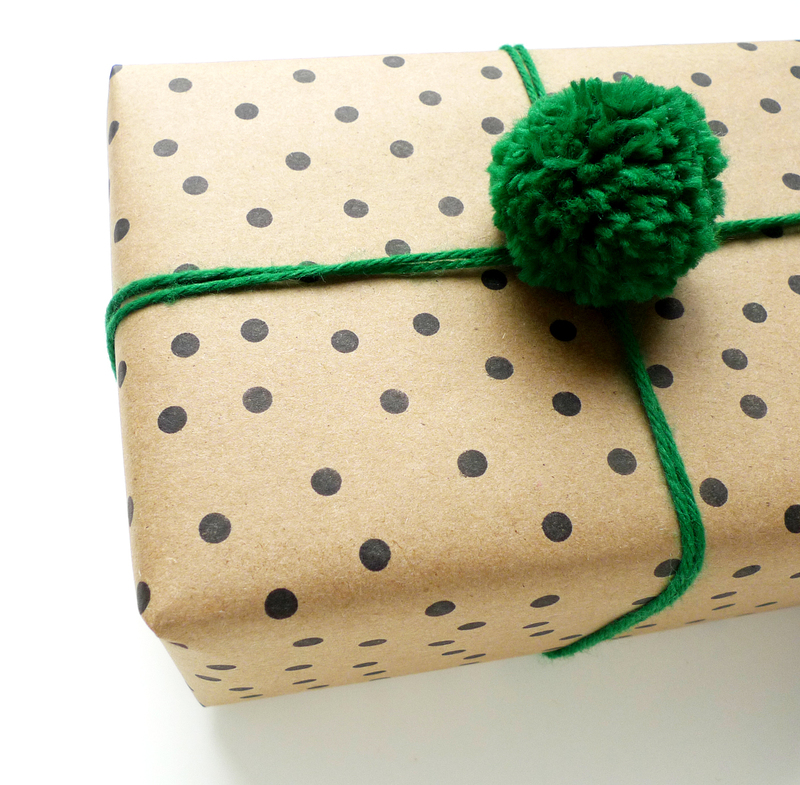 I was inspired to combine the festive pom pom decorations with my own hand stamped gift wrap as a different take on this fun wrapping paper that has been making the blog rounds lately. 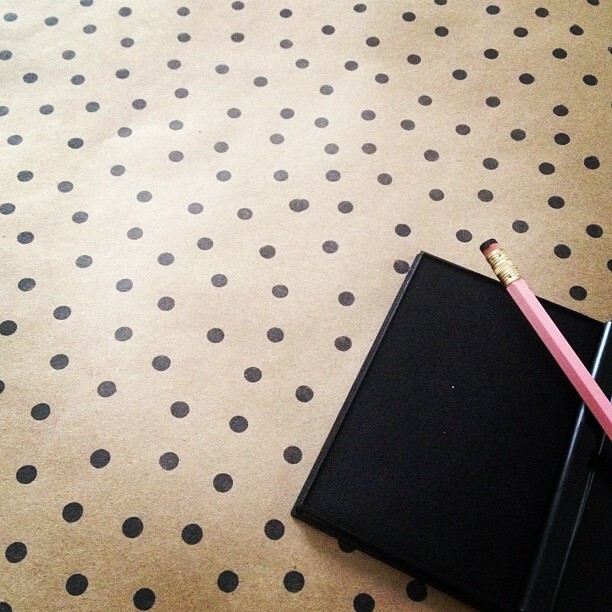 I started by making some simple polka dot wrapping paper using just a new pencil eraser, and a standard stamp pad. 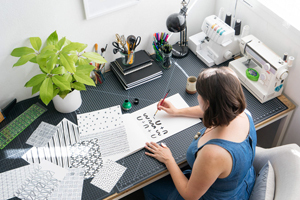 You could even do something more intricate, by following my DIY hand stamped gift wrap tutorial. 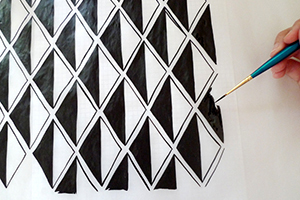 Then I created a few pom-poms (you can find lots of tutorials online, Martha Stewart has a good overview here.) 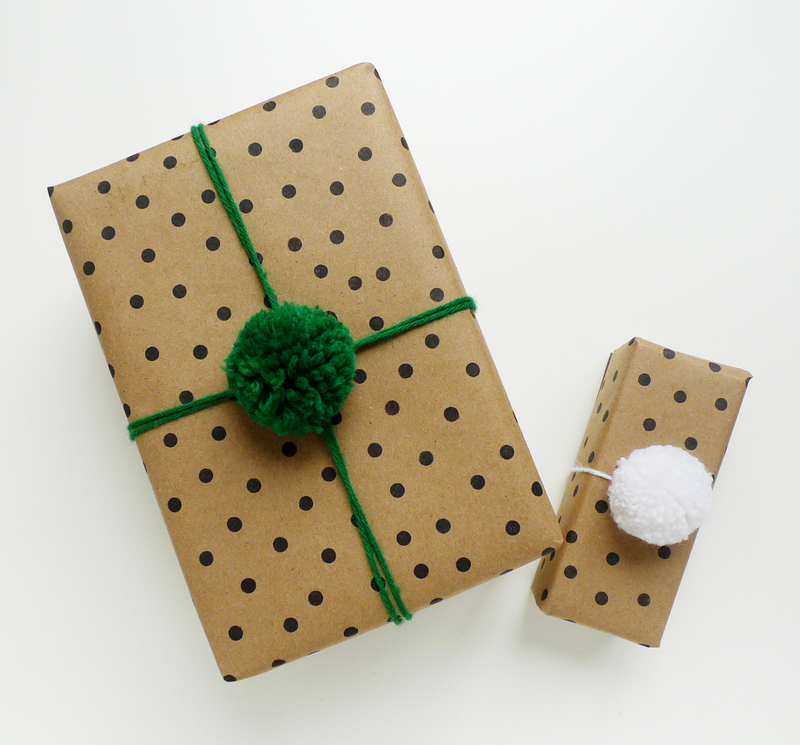 After wrapping string around the package a couple times like a ribbon, I tied the pom-poms to the top of the package to complete this dotty package. 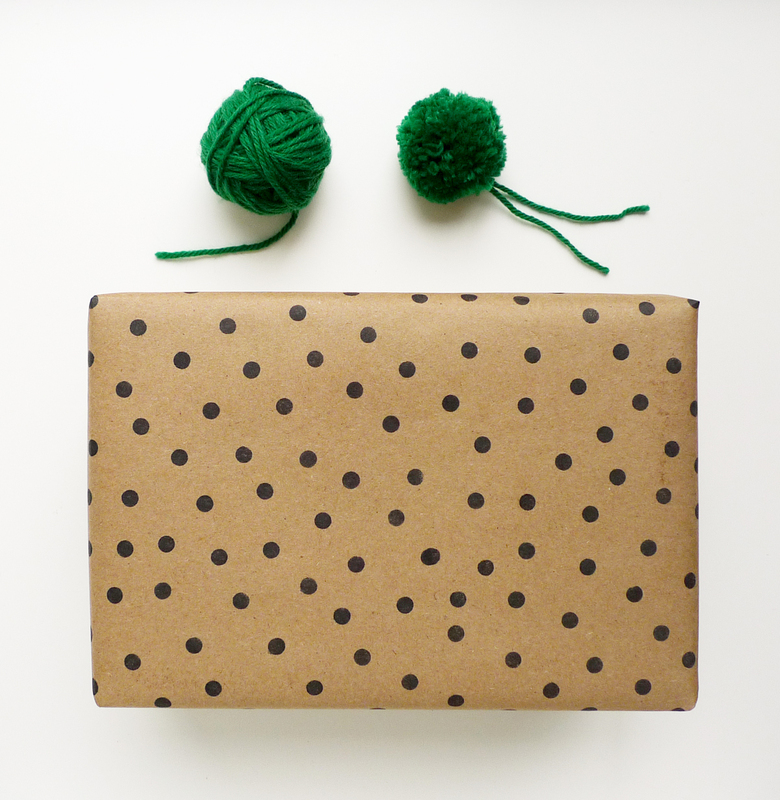 This is an easy way to wrap larger gifts, and an affordable alternative to some of the fancier gift wraps out there. 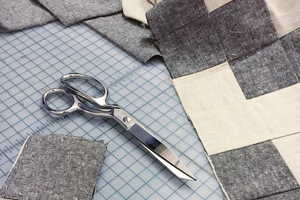 It’s easy to customize with your loved one’s favorite color, too!